To the people of Bend of the River Road, Maggie Barnes is 'the Barnes woman with all the problems.' To her family, she is the unpredictable wife, elusive mother, and adored daughter-in-law, and to her maid, Pearl, she is the mistress who must be cared for like a child. Between the suicidal lows and delirious highs, young Hattie Barnes struggles to find a place in her mother's heart. She observes her mother's vain attempts at normalcy, and then watches as she is driven off to the hospital psychiatric ward. Only later will Hattie discover the deep-seated hopes and fears of the woman she loves unconditionally, and her inevitable connection to her family's past. 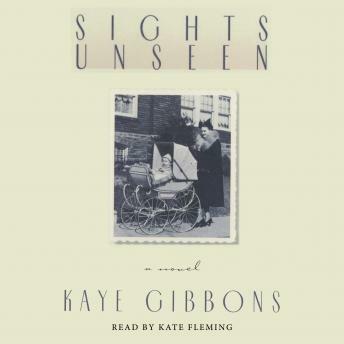 In heartfelt and potent prose, through Hattie's hushed voice, Sights Unseen tells the story of a troubled relationship and the courage it takes to see it through.